Tag Archives for " Quicksprout "
No matter how often Google updates their algorithm in an attempt to devalue backlinks, they remain an important factor. 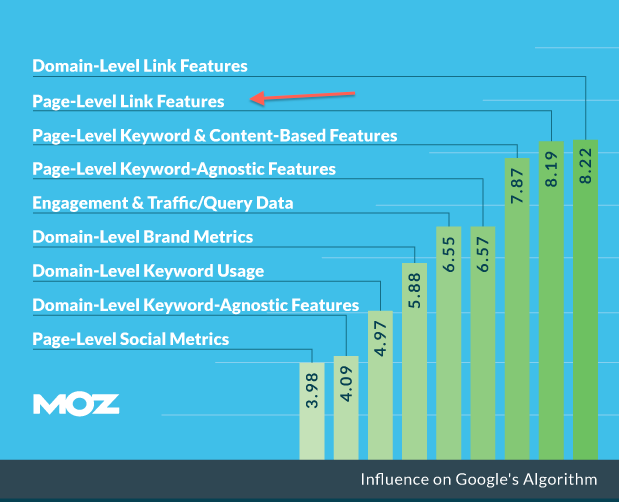 Sure, the game has changed substantially as Google has gotten much better at sniffing out low-quality content and links, but as the graphic below suggests you still need to make link building a vital part of your optimization efforts. Many business owners look at link building as a time draining technical tactic, but it needn’t be. To me, link building is the new networking, and when you employ effective networking techniques, you’ll see real results. Depending upon the industry you’re in a handful of links from sites that Google has already determined authoritative can place your website on page one. 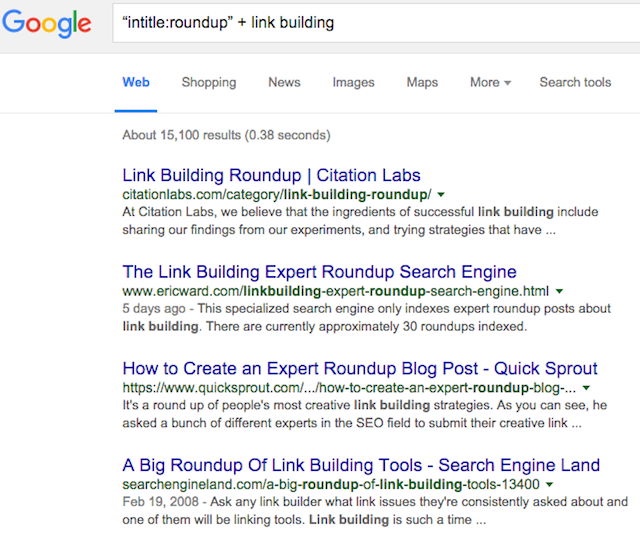 One caveat to any discussion on link building – it begins and ends with useful content. If you don’t have images, videos, infographics or how to blog posts to share, there’s little chance you’ll succeed in your efforts to acquire links. People link to things worth sharing – it’s really that simple. Below are three highly effective link building tactics for 2015 and beyond. You know the saying – keep your friends close and your enemies closer. Well, you may not think of your competition as the enemy, but you certainly can learn a lot by paying close attention to the links they have. Many times we only think of competition in business as the business down the road getting the sales you are after. When it comes to ranking your content on search engines, your competition may simply be the sites that are outranking you for key search terms. 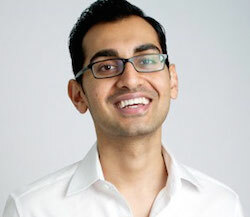 One of the reasons they might outrank is that they’ve got more high-quality links. Well, the good news is you can easily find out who’s linking to just about any website, and it’s a well-established SEO practice to go after the links that might be helping your competition rank. How to find the links: The fist step is to simply conduct some searches on the keyword phrases and terms that are important to your business. Once you find a handful of competitors or other high authority sites from your searches you can employ a tool like Ahrefs to get a list of sites linking back to your competition. I like to find recent links – say in the last 30 days – so that I can see new activity. The goal of this research is to see if you can then figure out an angle to get a link of your own. See this screenshot from Ahrefs identifying recent links to my site. About once a week or so I get a request from a content marketer who is working on a roundup-style blog post. This very common post format is a great way to get some good content and feature lots of experts, tools or resources. People love roundup posts because they are like list posts with even more detail. Content producers like them because they can draw lots and lots of shares and links. In fact, that’s one of the main reasons people produce roundup posts. If they feature 20 or 30 experts in a post, the hope is that each of these experts will spread the word. A great link building strategy is to find sites that routinely assemble roundup posts in your niche or industry and network to have your quote, post or comment included in their next roundup article. Many sites do weekly link roundups, so this can be a great way to acquire great links. Once you find a suitable list of roundup targets spend some time networking. Don’t simply reach out and ask to be included. Follow the roundup posts for a few weeks and make comments, share the posts and start building a relationship by perhaps pointing out some great potential content from people other than you. I know that when people interact with me in this fashion I’m far more likely to respond than when people only ask me to link to their blog or podcast first. This kind of networking also demonstrates that you’ll be a good promoter of the roundup post should I decide to include you. At some point, however, you’ll want to reach out and ask to be included in an upcoming roundup post. Of course, this means you’ve got to have something worth including. Once you successfully acquire a link in a post such as this make sure you promote the heck out of the post and leave a comment thanking the author for including you. Local businesses are often sitting on a gold mine of links because they network in person with potential link resources. Some of the things you might do offline make great link building plays. If you work with, buy from or network with any local businesses, consider ways to link to and from each other. If you have suppliers – particularly national brands – look for ways to guest post on their sites. If you’ve produced a great eBook, let all of your strategic partners share it with their networks. Write testimonials – with a link back to your site – to every business you do business with. Get links from every organization you belong to by writing guest posts – alumni, charitable, and business. If you sponsor any events or charities in your community, make sure you take advantage of their “sponsor” pages. Link building has become a hand-to-hand sport of sorts and much like effective networking of any kind it takes time and effort. But, it also takes time and effort that your competitors might not be willing to invest. Invest in content, invest in link building and you’ll create a foundation that can carry your business through whatever the next new, new thing is online. Further reading: Perhaps the two best sources for more information this topic are Brian Dean at Backlinko and Neil Patel of Quicksprout.